2. Tell Bollinger and the Board that they are turning Columbia, a university once known for its rigor and academic excellence, into one that instead is gaining the reputation of a sell-out to ugly hatred and flaccid standards. 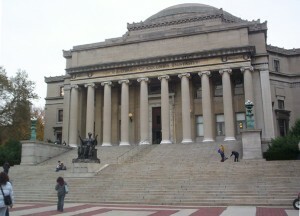 NCJA believes that even publicizing that a featured guest such as “Immortal Technique” will appear at an event at Columbia University can be perceived as intimidating to Jewish and other students, and his presence could induce others to engage in violence or incite conduct that threatens or harms others. Of course, we will not be surprised if we hear from President Bollinger and the Board that this is just a “student group” and the university is “not involved” and that this is “the free expression of ideas,” “intellectual freedom” or even “art”. But we can no longer accept these excuses for what appears to be pure hate and efforts to intimidate pro-Israel Jewish students and others who do not agree with SJP’s views. We need to know if Columbia University is providing any financial or other support to SJP and this event, including providing the building in which Immortal Technique is performing. 3. Ask Hillel why they are failing to stand up against hatred and the incitement of violence against Israel and Israel supporters. 4. Join NCJA’s Education and Campus Life Task Force to address these concerns on campuses around the country: contact natlconference@gmail.com. Forward and post this action alert.